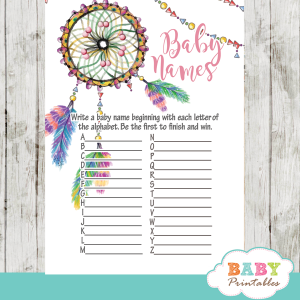 Printable Boho Dream Catcher book request cards. 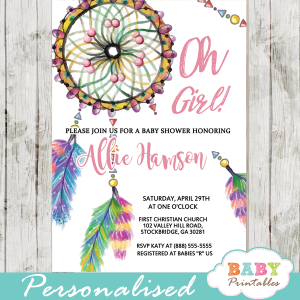 The bohemian themed Invitation Inserts feature a beautiful watercolor dream catcher with multi-colored feathers against a white backdrop with artsy pink calligraphy. 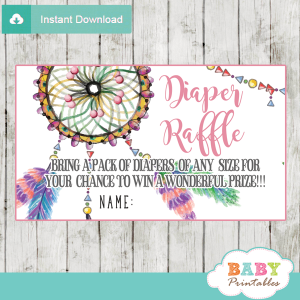 ★ Click here to view matching dream catcher baby shower decorations. 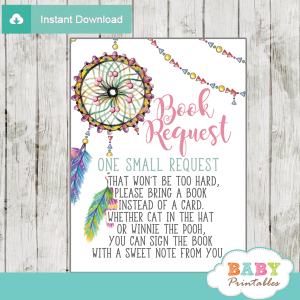 ♥ WHAT YOU GET You will receive 1 PDF Files with: Six 3″ x 4″ Book Request Cards per sheet. ♥ INSTANT DOWNLOAD No tangible items will be mailed.